Begin your hen activity package with one of the most thrilling of outdoor activities! 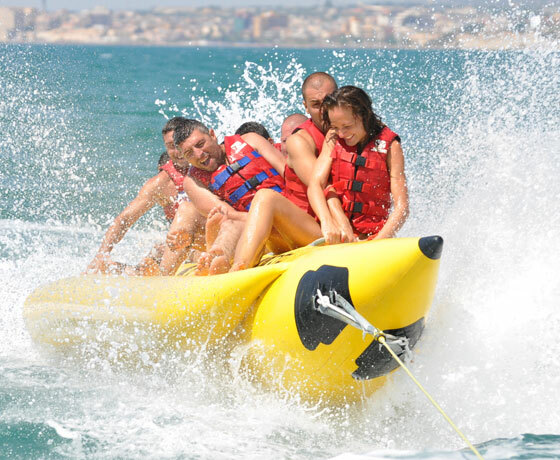 Banana Boating is one of the most popular hen party ideas as it is such an exhilarating and fun activity! Get on your wetsuits and then step aboard the Banana with your fellow hens! You’ll feel your heart pumping as the power boat revs up, ready to go. Experience the ultimate adrenaline rush as you hang on for all you’ve got, as your speed boat powers along the lake! Then time for something a bit more relaxing! 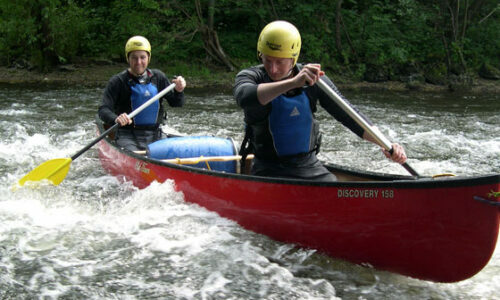 Canoeing is the perfect activity to round off your hen party activities. 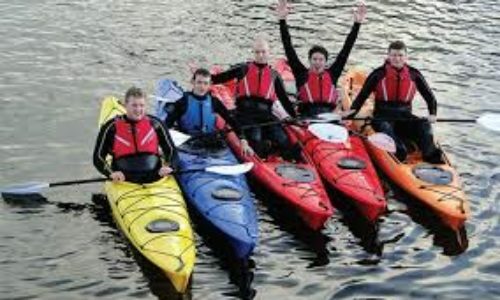 Qualified instructors will equip you with all the basics and give you a few techniques, so you’ll soon be enjoying a paddle along the open lake with your fellow hens. This is the ultimate in adrenaline-fuelled, hen party packages! Beginning with Banana Boating (as detailed above), your adrenaline will already be pumping by the time you get to the Aqua Park! Think of it as a gigantic, floating inflatable! 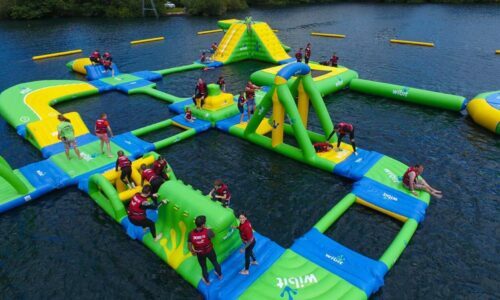 This is a great hen party experience which will have you and your fellow hens slipping down water slides, clambering through obstacles and jumping across watery pits! 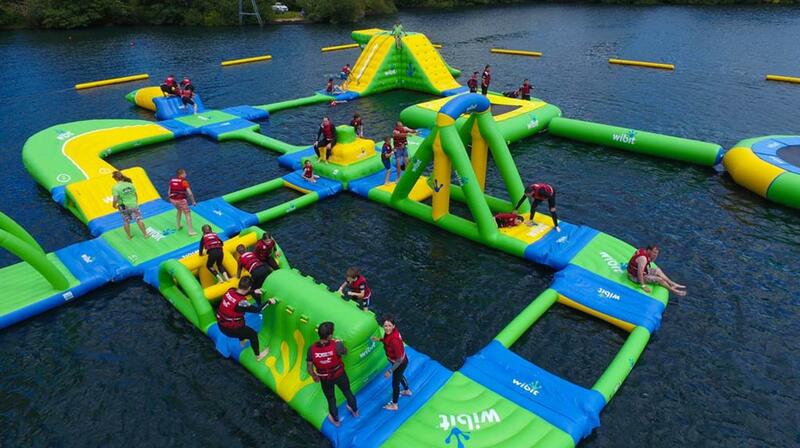 A great way to burn those calories whilst having a ball on your hen do! Whether you’ve tried sailing before, or are a complete beginner, Dinghy Sailing is a great activity to try for hen party! 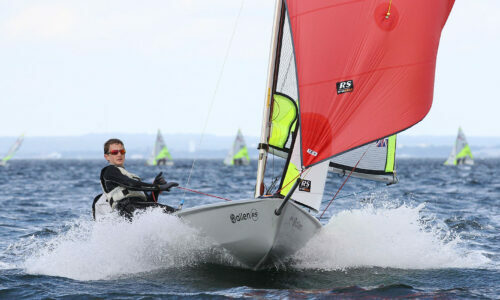 Your qualified instructors will begin with a few pointers to get you started and show you how to control your dinghy. Then it’s over to you to find your sea legs! As it’s a small boat with a sail, it should be fairly easy to master the basics, so hopefully you’ll feel like a proper sailor in no time! Fancy yourself as a bit of a surfer? 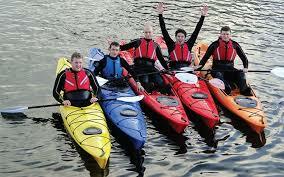 Then this exhilarating hen water sport is for you! Run on an open lake, the conditions should be smooth enough to give you a head start and let you find your balance. Then all you have to do is master the control of your sail and off you go! Sound simple? Expect to fall in a lot and be soaked through before you conquer the waves! But your instructors will of course be on hand to help you and your fellow hens get the most out of this fun activity! For the competitive hens out there, take on the ultimate water challenge combo! Not everyone knows each other on a hen do, so this package will start with a few Ice Breakers to get you acquainted with each other. This series of games will challenge your teamwork skills and force you to really think outside the box! To beat the clock and your opposing teams, the key is to apply logic and quick thinking! Afterwards, it’s the biggest challenge of all! For your Raft Building, the aim of the game is to work with your fellow hens to construct a raft. Sound simple? Here’s the catch – you’re only allowed to use the most basic of items plus you’re up against the clock and the other teams… No matter what you’ve constructed, when the horn sounds to signal the time is up, you must then climb onto your raft and race (or limp!!) across the lake. See if you can keep afloat to cross the finish line! 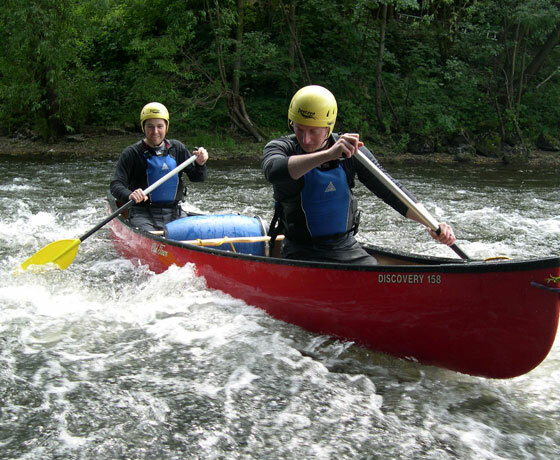 For similar Hen Party activities, click HERE to look at our Hen Party Outdoor Pursuits. Looking for Hen Party Ideas Northern Ireland? Check out HEN PARTY PACKAGES.